EverydayFangirl.com | The Adventures of the Everyday Fangirl! It is a great pleasure to welcome Linda Mooney author of JEXX. Welcome Linda to The Adventures of the Everyday Fangirl and thanks so much for taking the time out your busy schedule to help us get to know more about you and your stories better! JEXX is the name of Jelia and Kaxx when their bodies meld and become a single new entity, the one with enriched powers and energy. I fell in love with the sci-fi genre with Podcayne of Mars, back when I was a kid. My first taste of adult sci-fi romance was Janette Taylor’s Moondust and Madness. Since then, I’ve had the passion to write in that genre. You need a sense of humor, patience, the drive to finish what you start, imagination, and the belief in yourself that, although the book may not be everyone’s cup of tea, it was important enough for you to tell the story. Therefore the story has worth. And, yes, I think my characters reflect some of those attributes. Snarky remarks. Comments that come from out of nowhere, but perfectly fit the situation. When the hero or heroine feel they’ve lost all hope. When there’s an ultimate sacrifice. Deliciously happy endings. I want the heart of the story to be the budding romance between the main characters, but I don’t want the book to be all conflict between them (misunderstanding and constant verbal fighting). I want a plot that is unique to anything I’ve read before, and for there to be action and adventure, maybe some mystery, and a resolution where the H/H realize they were meant to be together for their own sake, as well as for the good of others. Yes, these are definitely reflected in my stories. Although JEXX is a standalone, I learned a long time ago never to say there won’t be a sequel, or even a series sprouting from it in the future. It is a great pleasure to welcome Adell Ryan author the Her Reverse Genus series. Welcome Adell to The Adventures of the Everyday Fangirl and thanks so much for taking the time out your busy schedule to help us get to know more about you and your stories better! The Her Reverse Genus series is an over-arcing romance story about the government capitalizing on the very blueprint of who we are — our DNA. Perfect, Book One, questions the very definition of what it means to be “Perfect” in the near-future — right down to the classification of just who exactly is the perfect mate for us. Broken, Book Two, proves that even the seemingly most “Perfect” of plans, people, and relationships have their breaking moments. Oh yes! As a mother of three boys, I often thought of what I might name a little girl in the event I ever had one. My hubby – the Ryan in Adell Ryan – and I decided on the name Thessaly, but we never got the opportunity to use it. When I started writing Her Reverse Genus, I knew right away that this series would be the “baby girl” I always wanted, and so my lead female character took on the name. In August of 2017, I was very sick and bedridden for quite some time. Books became my escape and I had a budding love for Paranormal Romance. One of my many book searches during that timeframe led me to Trickery, the first book in the Curse of the Gods series by Jaymin Eve and Jane Washington. I read that book and just completely and utterly swooned over the guy characters, then was like “What is this sorcery, and WHERE DO I FIND MORE? !” I got all grabby handy and desperate. Gimmie, gimme, gimme. Soon, I found myself in a Facebook group called Reverse Harem Readers with thousands of other women (and men) who were also obsessed with the genre. A story idea I had thought about in brief six years prior flourished in my mind yet again… this time with a Reverse Harem twist. From there, the story and the characters practically wrote itself. The near future, soft sci-fi aspect weaved its own tale. I had no idea before I started writing that Science Fiction would be my romance sub-genre of choice! Organization! I am a planner, not a pantser. Outlines, to-do lists, schedules, mind-maps… you name it, I’ve done it. I have never once considered whether or not one of my characters reflected any of these traits; however, one particular character, in fact, does. Tobias, my brooding, alpha, nerdy guy definitely matches me most in this way. He always needs facts, a plan of action, and logic to move forward. A lot. So. Much. Research. When you’re dealing with the topic of DNA and a contemporary, near-future setting, you need to be extra specific with the scientific verbiage and details as well as understanding what advancements in politics, economy, and science may be realistic. I’ve put more hours into research than I have into the actual time spent writing with this particular series. My children and my husband. Also, my crazy readers; I love interacting with them! Again, my crazy readers – the happy sort of cry. They send me the sweetest, most supportive messages on a regular basis. But also, if I’m being fully transparent, the challenge of being “accepted” by friends and acquaintances when they find out about my “adult” writing – the not so happy sort of cry. Oh and also, sometimes negative reviews, because I think some reviewers forget that authors are real people with feelings. Ha! Huge fan of the Outlander series, Reverse Harem, Paranormal Romance, food, donuts, Pepsi, my hubby, my children, my readers… I feel like this question has so many possible answers! And, yes absolutely, my likes definitely bleed into my stories. There is a lot of science and speculation, but Her Reverse Genus is also a romance. Thessaly has four suitors who each love and adore her in their own way, and it’s quite a lot of fun to follow their romantic journey. It is a great pleasure to welcome Rae Anne Thayne author of THE CLIFF HOUSE. Welcome Rae Anne to The Adventures of the Everyday Fangirl and thanks so much for taking the time out your busy schedule to help us get to know more about you and your stories better! THE CLIFF HOUSE, my first hardcover novel, is symbolic of taking risks, jumping into the void, exploring new opportunities and new directions. This is a story about three women, two sisters and their aunt. Each is at a turning point and each has the chance to reach outside her comfort zone to embrace the challenge and adventure of falling in love. This is a standalone novel set in a fictional town on the beautiful northern California coast. Writing THE CLIFF HOUSE was a unique experience me, a chance to really have three heroines with entertwined stories. I wrote about twenty romantic suspense novels early in my writing career. While I still love reading the subgenre and feel like those are still strong stories, I discovered I was enjoying most the book where I could focus on the emotional and community aspects of my stories. It’s important for writers (and everyone!) to focus on friends, to take care of themselves and to learn not to stress about things that don’t really matter. It’s something I am continually having to remind myself about and lessons my characters need to learn too. Spending time with my four sisters. We always have a great time together. So many things. The older I get, the more deeply I feel things, it seems like. I especially cry at emotional, honest writing. I’m most active on my Facebook page, http://www.facebook.com/AuthorRaeAnneThayne. Readers can also find me on Instagram, Twitter or at my web page, www.raeannethayne.com. It is a great pleasure to welcome Susan Hayes author of the Drift Series. 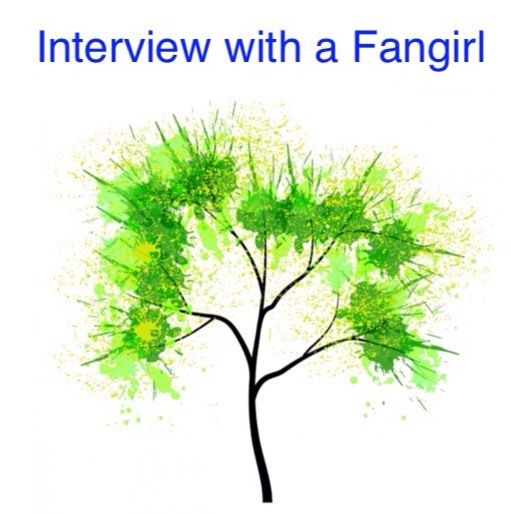 Welcome Susan to The Adventures of the Everyday Fangirl and thanks so much for taking the time out your busy schedule to help us get to know more about you and your stories better! Blind Bet’s title has several meanings. It was inspired by on a photo I saw of a blindfolded woman about to be kissed. There was no contact between the lovers, and it made me wonder if she knew who was about to kiss her. In the book, my heroine has an accidental meeting with a bowl of hot soup (really!) and needs to wear bandages for a while as her eyes heal. Pain meds lead to an inadvertent confession, and a bet is made that changes the lives of everyone involved. The title also refers to the fact that to find their happily ever after, all the characters needs to make a leap of faith. They can’t know if things will work out, they’re all betting blind. The other significance of the title is that it’s a gambling term. The entire Drift series uses this same convention. Life out on the Drift is risky, and every day is a gamble. I have always loved science fiction stories. Books, television, movies, all of it. From Star Trek to Hitchhikers Guide to the Galaxy, I am a sci-fi geek. I started out writing paranormal romance, but soon I realized I could combine my love of romance with my love of sci-fi. After that, there was no turning back. I now have more than forty published works, and half of them are sci-fi romances, with many more to come. That being said, I think one of the most important things I do to stay grounded and sane-ish is to give myself time away from writing. It’s easy to forget to do this – but stepping back and taking time to breathe is important. My characters are a diverse group, but I think some of them learn this lesson through their story arcs much the same way I did, by hard experience. Blind Bet is part of the Drift universe, which is a cyberpunk world with cyborgs, cyber-jockeys, alien races, lots of technology, and powerful corporations that are constantly looking for ways to grow richer and even more powerful. To create stories in this world, I’ve researched everything from how wings would work in zero gravity environments to how cloning works and what it might look like in the future. I’ve taken online courses in space travel, read medical journals, and even delved into brainwashing and mind control techniques. Dry British humour and the absurdity of daily life. Far too many things. A poignant piece of music. Every single episode of “Touched By An Angel.” (and yet I watched them anyway.) Even commercials can get me right in the feels. I’m a geek. I love all things sci-fi and fantasy. I have tattoos of dragons and the cosmos. I own TV props from Xena: Warrior Princess, Lexx, and Gene Roddenberry’s Andromeda. There’s a collection of swords on my office walls that includes replicas of Sting and Glamdring from Lord of the Rings. Readers can find me around the web, but I spend most of my interactive social time on Facebook, on my page or in my reader group. Today, it is my pleasure to interview Annie Stoll who is a Grammy Winning art director, an award-winning designer/illustrator and of course a Fangirl! I became aware of Annie through the Twitter Star Wars Fangirl Community. Welcome Annie and thank you for taking the time to let us get to know you better. I think I’ve always been a fan of things that I liked but maybe not till a few years ago was I aware of the term “fan girl” in a positive light. I’m totally down with it. It’s great to share what you like and enjoy new experiences with media. It has helped in that I have met so many amazing and wonderful people who have become real pals. I’m constantly inspired by artists I find on social media. Although, I do think that social media does have a down side — sometimes it makes us communicate less or be more self-conscious about who we really are. The important thing to remember is that the number of followers next to your name is not your self-worth. What matters is making art and lifting up artists. Star Wars and LOTR are instant likes for sure! Harry Potter I was super resistant to, but when I finally read the books, in a better headspace, I ended up really enjoying them! I have been so very lucky to be embraced by some really amazing communities especially the Star Wars fandom. And as someone who has and does participate in it myself, I really love how supportive and positive that fandom can be. I love how much fans work to do events for charity as well as dream big and have fun discussions that lift each other up about the stories and characters! Fandom can really do a lot of good when they focus on balance and joyful compassion. I’m always full of love and gratitude for the positivity and creativity that fan communities can create. Everything???? Indie music, Kpop, Jrock & Jpop…. Lots of different IPs and comics, zines and every single indie artist out there working hard online and in the artist alleys. Have fun and don’t be afraid to be yourself. It’s important to treat others with the love and respect you want to be treated with. When all that works out, you will have a blast!